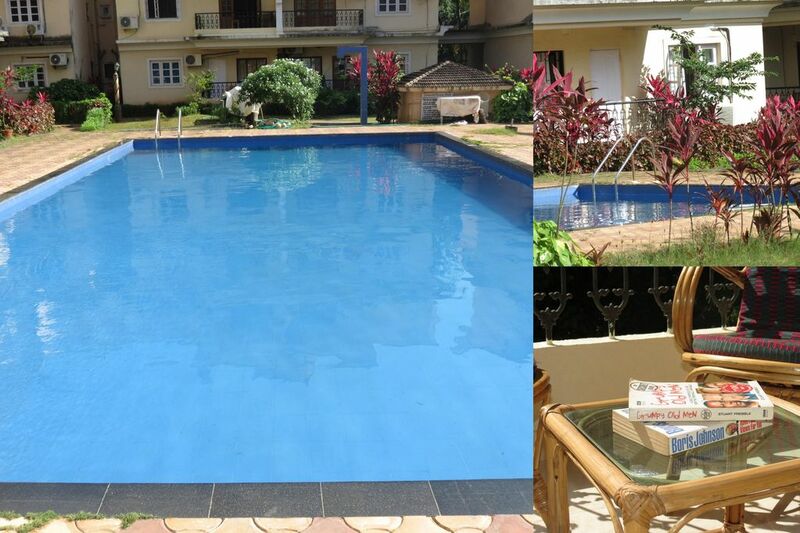 This neat looking well-appointed apartment is in the perfect location for a Goa holiday. Right in the heart of Calangute all the shops, restaurants, clubs and beach with its beach shacks are just a short stroll away. This studio apartment is well ventilated as it gets the cooling breezes. However there is an air conditioning in the living room for those who require it. This bedroom is attached to the living room and balcony doors leading to a balcony. At AbraCasa we like to try to make each guest as comfortable as we can. Being in a new place can be daunting if you dont have anyone to turn to should you have a query or even a problem. We provide you with detailed arrival information/room and key location. There is a small guide to the property inside the room and a list of emergency contacts. We are only a short message away if you require further support. The property will be clean and well maintained. Sara is a good host she has arranged everything prior on our arrival she was always available on phone , good host room is really good best for 2 persons. Calangute is Goa's flagship beach and it plays an irreplaceable role in the state's tourism sweepstakes. Stretching over an expanse of seven kilometres, Calangute beach is known by the sobriquet the 'Queen of Beaches' for its pre-eminence among the scenic beaches that dot the Goan landscape. Due to its extreme popularity, Calangute beach beckons tourists and backpackers from all over the world and can be quite busy at times especially peak season. Wherever you stay in Calangute you are not more than a few minutes’ walk away from good quality restaurants that sell affordable and great value food to tempt all. All Indian, Chinese and Europeans foods are generally catered for. Calangute beach offers an opportunity to enjoy great time with involvement in the water sport activities along the beach including paragliding, boat trips, wakeboarding, windsurfing, kitesurfing, or take a ride on a jet ski. Dolphin spotting trips and island trips are on offer and there is plenty of scope for bird watching. Yoga classes are very popular. Fishing trips can also be arranged. Fine dining restaurants, along with a pulsating nightlife. However, many people are simply content lazing on the sun lounges in front of the beach shacks all day and feasting on a steady supply of food, beer, and cocktails. Beach shacks are dotted all over Calangute beach. The shacks offer, evening entertainment and night BBQs are available on the beach after dark. It is the perfect tourist haven, completed with shacks and stalls under the shade of palm trees selling everything from fried prawns and beer, to trinkets made of seashells. The nightlife is surprisingly tame and provides a nice break from the wild parties at Anjuna. All but a handful of the bars wind up by 10.00 pm. One notable exception is Tito's at the Baga end of the beach, which stays open until after midnight in the off-season and into the small hours of the morning in late December and January. There are several markets close to Calangute - the Wednesday flea market at Anjuna Beach and two Saturday night markets at Arpora, and will satisfy even the best shopaholics.